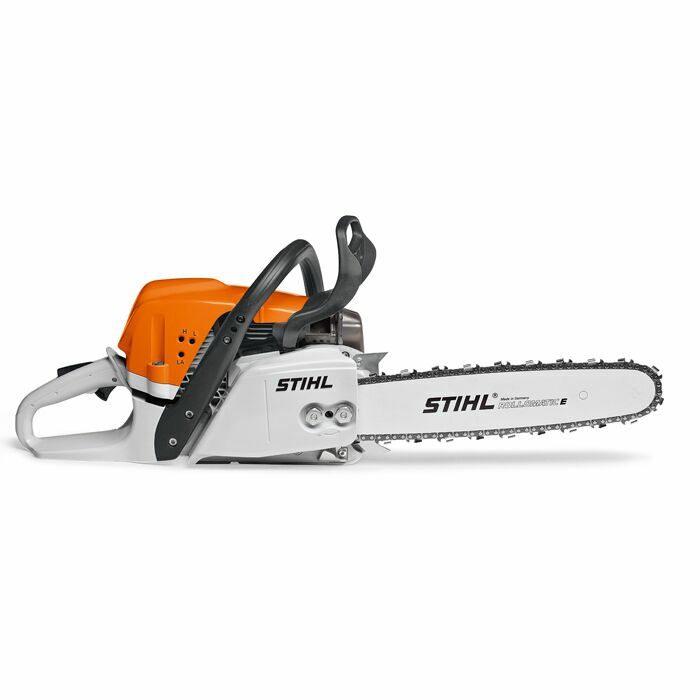 The Stihl MS391 18" Chainsaw features a high torque version of the Stihl 2-MIX Engine, a long-life air filter system and decompression valve for effortless starting. This is an ideal saw for heavy agriculture use and felling and sawing large firewood. Decompression valve - The decompression valve is part of the easy starting system. The valve should be pressed before starting to reduce the compression pressure when starting, as well as reducing the effort needed to pull the starter rope. The decompression valve is semi-automatic; it must be pressed manually before starting, but then closes automatically. Variable-displacement oil pump - Allows a precise, demand-based delivery of oil. It's possible to reduce oil production by up to 50% in the E position. For very long cutting attachments or very dry wood, an additional volume of oil can be added by the user.